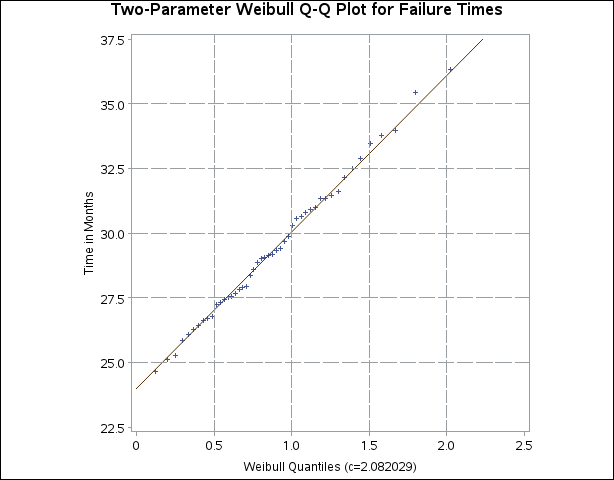 Note: When using the WEIBULL option, you must either specify a list of values for the Weibull shape parameter with the C= option or specify C=EST. 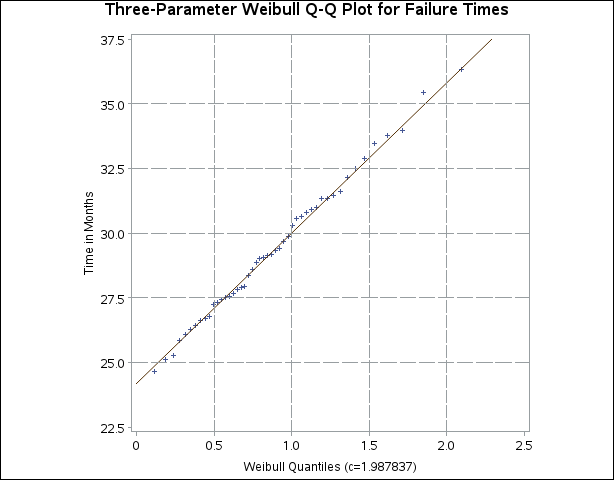 Output 4.34.1 displays the plot for the estimated value . The reference line corresponds to the estimated values for the threshold and scale parameters of and , respectively. The reference line is based on maximum likelihood estimates and . A sample program for this example, uniex19.sas, is available in the SAS Sample Library for Base SAS software.